Announced last week, Nokia Lumia 1020 may be an impressive 41 megapixel cameraphone, but it’s certainly not elegant or slim. The answer to this approach can be found in concepts as usual and Karl Panase has an excellent proposition: Nokia Phoenix. The Nokia Phoenix concept phone features an ultraslim design, a 13.7 megapixel Pureview camera and for some reason an Intel processor. We’ve got a dual LED flash near the camera, if my eyes don’t mistake me and the design relies on a slightly curved middle area. The upper and lower side are all pure Lumia and the specs of this model include a F/1.9 camera and HDMI for some reason. The speakers seem big and powerful and if I were to guess the CPU identity, it would have to be Clover Trail+ by Intel. 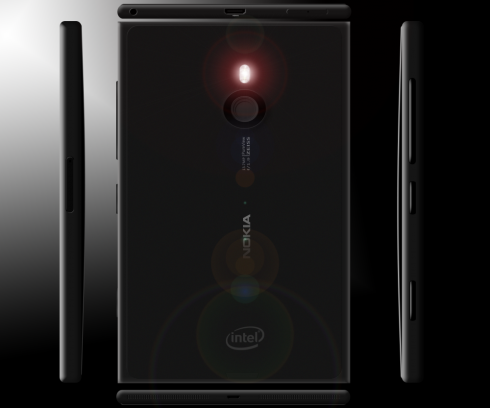 Nokia Phoenix looks rather wide, even wider than the current models, that are quite large themselves. Is a slim phone with large width the solution of the future? Time will tell!